You can never stand still in this game. If you don’t evolve your tactics or playing style, you’ll soon find yourself losing game after game against more astute coaches able to exploit your weaknesses. A few years ago, Real Madrid and Barcelona’s fast paced possession and high pressing style looked unbeatable. It seemed as though Spanish soccer would dominate tournaments for the next decade. But the vulnerabilities of a high pressing style are now being exploited by the overload tactics of Bayern Munich and Borussia Dortmund. Even Manchester United found itself the victim of this new approach, losing 4-0 to relative minnows MK Dons FC. The rise of these new tactics, which can counter high pressure defending and force teams that rely on possession to make mistakes, are revealed in Elite Pro Team Tactics. Harnessing real game screenshots and clear explanations, it shows you how these tactics are deployed and how you can adapt them to gain the advantage against even the most technically gifted sides playing with dated systems of play. Elite Pro Team Tactics features a collection of articles all focused on the formations, playing styles and tactics of elite level teams. Featuring real game screenshots, tactical diagrams and analysis, its packed with insights on how elite level teams gain an advantage from tactical superiority. How Exploit High Pressure Defending – How Valencia enticed Benfica to press and then exploited the space created to launch its attacks. How to Beat a 4 Man Midfield – How Borussia Dortmund turned the tide against Bayern Munich by squeezing space between the front and back lines to block diagonal passing lanes. How Bayern Munich Uses Overload Tactics – This article reveals how arguably today’s top club side limits space in transition and pins back wingers before dominating the right side of the pitch with a flood of players. Holes in the 3-1-4-2 of Manchester United – How MK Dons beat the Red Devils 4-0 by exploiting space in transitions or when the ball was played wide to the full backs. Tactics that Made Mourinho Great – How one of the most successful managers of the last decade first found success at Porto with fast counter attacking by Deco and assists by Postiga. Effective Counter Attacking – How Real Madrid used counter attacking to defeat Barcelona, even without their talisman Cristiano Ronaldo. In addition, Elite Pro Team Tactics also features articles on how Germany forced the erratic Algerians to play predictably in the World Cup, the keys to Luis Suarez’s success at counter attacks, how Atletico beat the much favored Barcelona and more. 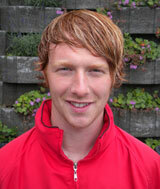 Elite Pro Team Tactics features a variety of articles by tactical expert Stevie Grieve. What they all have in common is that they are all packed with powerful tactical insights you can use to give your team the edge, particularly if you coach technically adept players at a high level. These are just some of the valuable insights you can gain from Elite Pro Team Tactics which can advance your game and coaching knowledge to an advanced level. Even if you don’t coach elite players, Elite Pro Team Tactics is a fascinating read on the breakthrough tactics at the highest level of the game. WORLD CLASS COACHING is recognized globally for the quality of its soccer coaching resources, which are used by over 40,000 soccer coaches from around the world. We wouldn’t be offering you Elite Pro Team Tactics unless it achieves our exceptionally high standards. 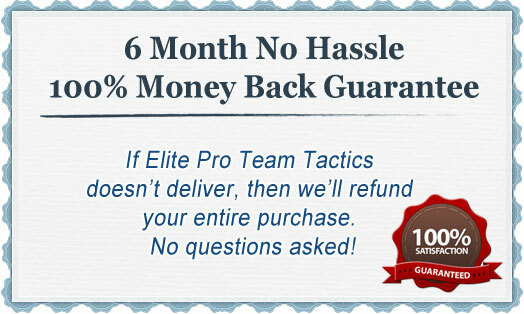 However, if you are not 100% satisfied with the quality of Elite Pro Team Tactics after six months then please contact us for a no quibbles refund. If you want to play with the slick counter attacks of Borussia Dortmund, the defensive organisation of a Jose Mourinho side or unlock stubborn defenses like Germany, Elite Pro Team Tactics shows you how. 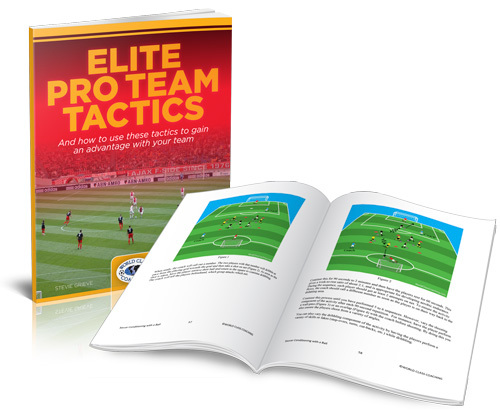 Elite Pro Team Tactics’ practical explanations and screenshots can enable you to add elite level systems of play to your team’s arsenal and exploit the vulnerabilities of the 4-4-2, high pressing sides and other common tactics. 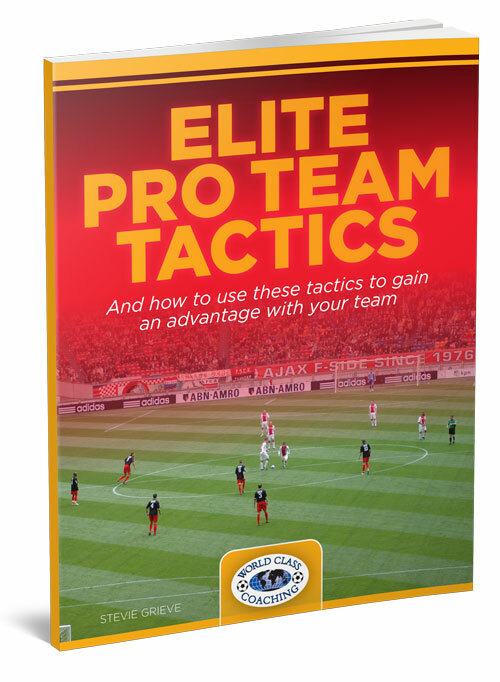 Packed with nearly 20 in-depth articles, Elite Pro Team Tactics is essential reading if you want to be on the cutting edge of soccer and give your team the advantage against opponents that have failed to evolve with the times. P.S. Elite Pro Team Tactics is a collection of tactical articles on the latest playing styles and methods of coaches at an elite level. Harnessing screenshots of actual games in-depth descriptions of the tactics used, Elite Pro Team Tactics can give your coaching knowledge and team the fast-track to adopting elite level styles of play. P.P.S If you are not 100% satisfied with the quality of the soccer coaching resources in Elite Team Tactics after six months then we will refund your purchase in full, no questions asked.